In a nutshell: Limescale removal from shower cabin, bathtub, taps, toilet. 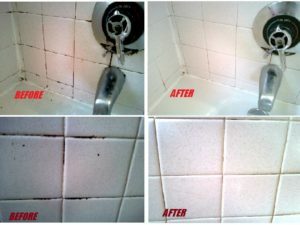 Grout cleaning at tiles and edges. White surfaces cleaned fully.